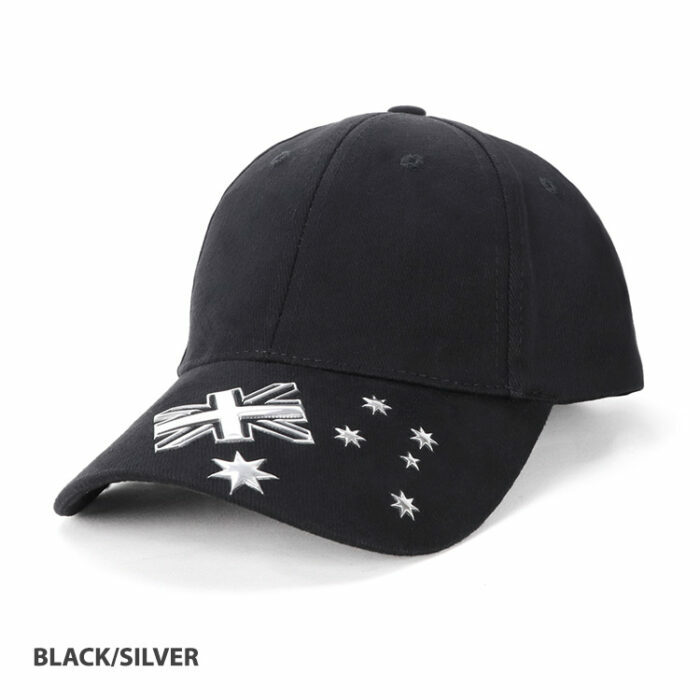 Show off the Australian flag with this unique cap. The corporate promotional Matilda Cap is a winner. Low minimum quantities and rush orders welcomed. Super low prices and bulk discounts. 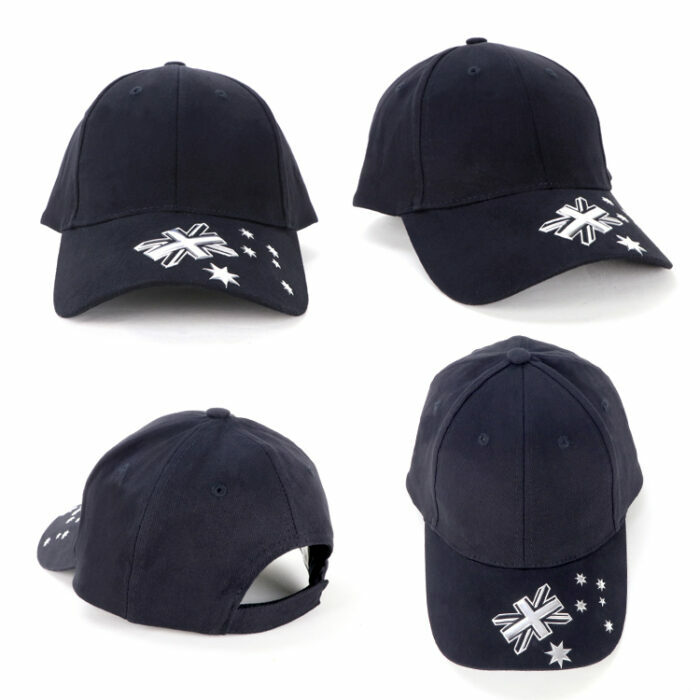 Having an Australian flag on the peak of your caps works not only for Australia Day celebrations but for a wide array of Aussie celebrations. Think of it as a great promotional tool that puts your local business in the spotlight. How, you may ask? Simple – use this customisable Matilda cap as your blank canvas. Simply print your brand and slogan tagline on the vacant front panels and there you have it: a mobile masthead for your event. 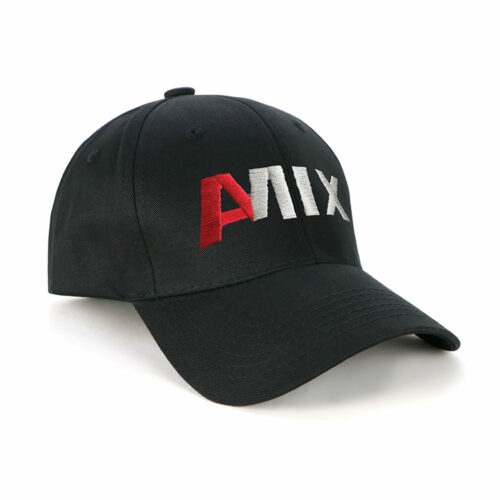 As the line from the book The Century of Hats goes, “Hats are noticed more than any other fashion item and perhaps more important, they’re almost always remembered.” Just imagine how having your logo on this custom printed cap will take your branding to an entirely new level! The branded Matilda Cap belongs to our Aussie Caps category. It includes a 6-panel structured front and a preshaped peak with a vibrant epoxy Australian flag design. These are made from heavy brushed cotton, giving you maximum longevity for your important promotional purchase. The colours to choose from are black and navy blue. As for the logo and design, you can choose to have it digitally printed or embroidered. Minimum order quantity is just 50 caps. 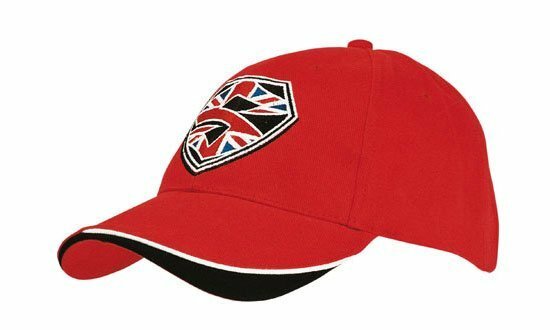 In our baseball cap range we also have a stand out full-color version of this cap – the Brushed Cotton Waving Flag Cap. 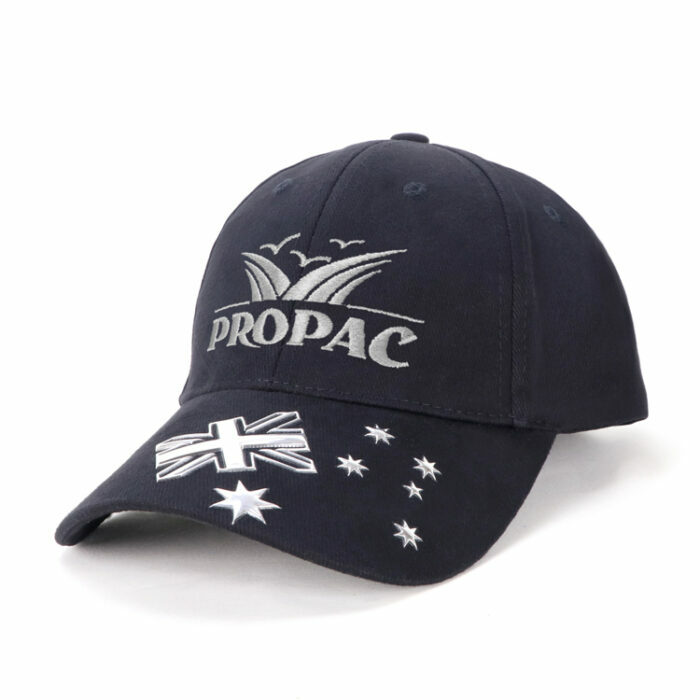 Both of these true blue you beaut caps offer a patriotic feel, ideal for letting your team and customers know your business is fair dinkum Aussie and proud. If you still want to fly the Aussie flag with pride, then go ahead and have a closer look at our Aussie Caps range. For sure, you’d find one that can represent your company best. What are you waiting for? Let’s live chat or give us a buzz on 1300 008 300. 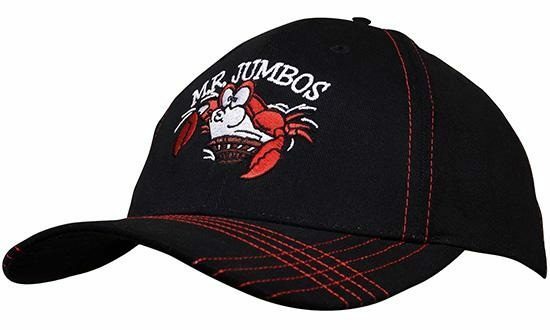 Let’s get your promotional product cap started as we’re just so excited to work with you.